An adventurous tour to the caves of Elephanta Island, where we can admire the bas-relief statues sculpted in stone that recount Indian myths and legends, the perfect excursion for those who wish to learn more about the Hindu religion. We leave the port by coach and head towards the Gateway of India where we board the ferry that takes us to the cave temples of Elephanta island. When we reach the island, we have to walk for about 20 minutes or take a 5 minute train ride to where the caves are located and then climb up 120 steps to the entrance of the caves. 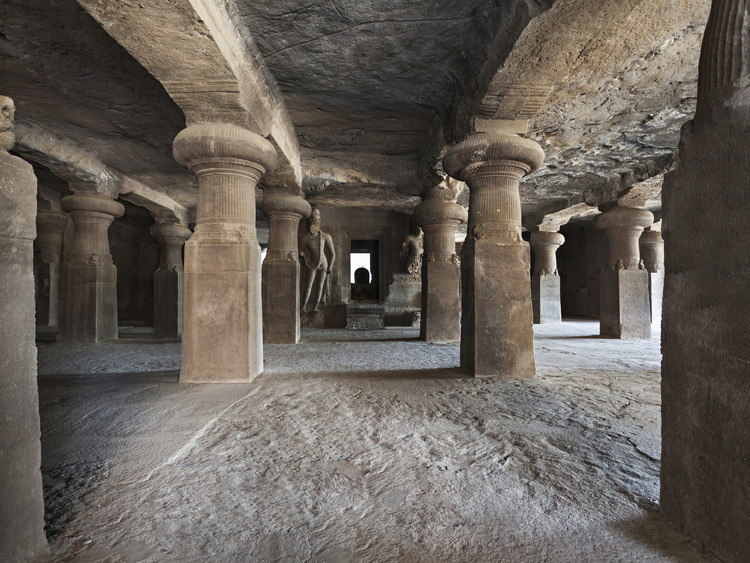 In the caves we can admire the temples carved out of the rock that date back to the 8th century AD. The bas-relief statues that are sculpted in the stone are brought to life as the guides recount the Indian myths and legends that animate them. The cave carvings are centred around the life of Shiva the destroyer. The most impressive ones, however, are dedicated to the Trimurti of Brahma, Vishnu and Shiva: the creator, the preserver and the destroyer. We return to the Gateway of India by ferry and then board the coach which takes us back to the ship. The ferry boat crossing to Elephanta Island takes approximately 1 hour. There is only one train to the Elephanta caves; in the unlikely event that it is not running we have to walk for 20-25 minutes before we can climb the 120 steps to the entrance to the caves. The same applies on the way back. Comfortable shoes with rubber soles are therefore recommended.